Nearly everyone I’ve spoken to this year regarding recruitment, both in my sector and outside, is struggling to hire great people. Recruitment processes are taking longer and businesses need to be smart, quick and flexible in order to secure top talent. 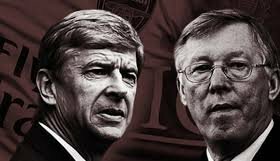 Football is an industry that has always relied on talent and in my opinion, Alex Ferguson & Arsene Wenger have led the way in finding talent and then developing it (when required). So, what lessons can we learn from them? Think differently to your competitors; when Arsene Wenger joined Arsenal in the 90s, he sourced top French talent (Vieira, Petit, Anelka etc) thanks to his knowledge & network within French football. Now, everyone in the Premiership has caught on but at the time, this was innovative and gave Arsenal exclusive access to future European & World Cup winners. Often, the winners in business tend to be the ones who look at what their competitors are doing and do the opposite. Are you looking for talent in different areas to your competitors? Rather than targeting the same old names as your competitors from the same sector, start thinking about talent from other industries who can bring transferable skills and a fresh approach to your space. You might be surprised at the calibre of candidate this generates. Wenger also spotted an opportunity in the Barcelona youth set up; he poached talent like Cesc Fabregas and Hector Bellerin on the promise of first team opportunities from a young age. Again, he approached talent acquisition differently to his competitors. Be patient and avoid the wrong hire at all cost; In Alex Ferguson’s book, in his chapter on talent he talks about a couple of the acquisitions he got wrong (Djemba-Djemba & Kleberson). He mentions that with hindsight, he had to fight for the best people and coax them in to joining United. He said that he didn’t have to battle for their signatures and they were both fairly cheap. Often, the best candidates are happy in their job and being well rewarded by their current employer. If it’s an easy hire, it might just be too good to be true (of course there are always exceptions). Sometimes, you will need to court the best talent and nurture the relationship for several months before making the hire. Don’t be afraid to hire future stars; The most obvious example of this is Cristiano Ronaldo, signed by Alex Ferguson at the age of 18. If you can’t find excellent experienced talent, consider junior options who have the potential to develop in to future stars. It’s no surprise that in the current war for talent, demand for graduates is very high; businesses realise that they need to ‘create their own’ and invest time & resource in to training less experienced talent who have the potential to be business leaders and stars of the future. Yes, this might be painful in the short-term (see Ronaldo’s excessive step-overs and lack of end product in his first year or two at United) but in the long term the rewards are worth it (see United’s dominance of the Premiership and European Cup win later on). Of course, I appreciate you will need the luxury of time from directors/senior management above you. Next Entry:Have we seen the end of references?